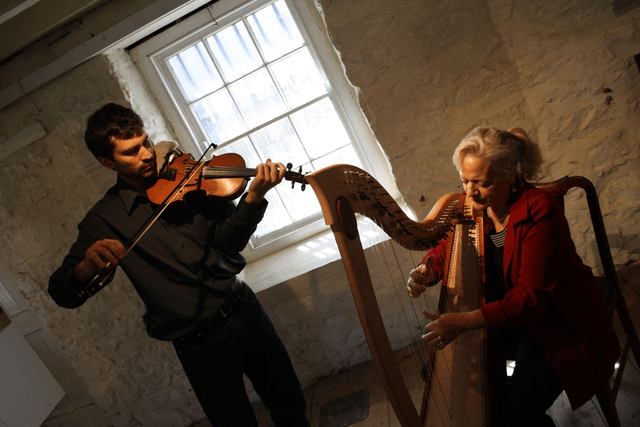 Sweet Strings combines the mystical, warm, resonant sounds of the Celtic Harp accompanied by the sweet strings of the Violin. Christine Middleton and Matiss Schubert are both acclaimed musicians who play a broad repertoire including Classical, Celtic & Popular music. Sweet Strings have released a new CD "Beautiful Music for Special Occasions"
"Sweet Strings" is available for Weddings, Functions and Special Events.